It might sound like a trick question, but where drone pilots work is available is a complicated business. There's certainly no shortage of opportunities out there, and plenty of pilots are ready to get to work - at least according to the latest research. So who (or in which industries) does a drone pilot work for? More established drone companies can get drone pilot work for utilities, carrying out inspections on infrastructure. These include network towers and pipelines for water and gas. These teams can give engineers a bird's eye view of any infrastructure that's damaged, relaying high-quality footage back to watchers on the ground and enabling them to make better informed decisions. By using a drone instead of conventional inspection methods, data can be gathered with more speed and without the need to put people in harm's way - as we are currently seeing with drone inspections supporting the recovery efforts following the hurricanes in Florida. Just as with utility companies, local authorities and organizations responsible for transport infrastructure often offer drone pilot work to carry out aerial observations and inspections. This might include inspecting things like bridges or railways. In fact, railway operator BNSF was one of the first to be granted permission to carry out beyond visual line of sight (BVLOS) flights by the FAA. Although some police services are starting to adopt drone technology, some authorities may require drone pilots in unique circumstances, such as search and rescue missions. The market for agriculture drones is ripe for the taking. Many drone companies have set up to work specifically in this field, offering mapping and modeling services, as well as combined cloud platforms that allow farmers to analyze findings and make smarter decisions. However, as drone flight becomes more and more autonomous, drone pilot work may be required even less in the agricultural airspace of the future. Two major sources of drone pilot work are the construction and mining industries. But just like in agriculture, many of these missions and use cases could be carried out autonomously in the near future. Currently, drone pilots are being asked to map terrain, inspect structures and gather the data required for managers to keep track of stockpiles. 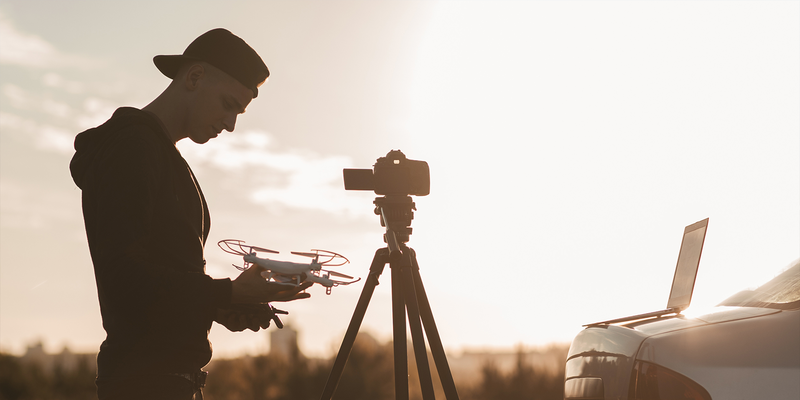 In both of these industries, drone pilot work offers improved safety and efficiency. Finally, drone pilot as individuals (either full-time or as a side job to make some extra change on the weekends) is common and pilots seek out clients on an individual basis. 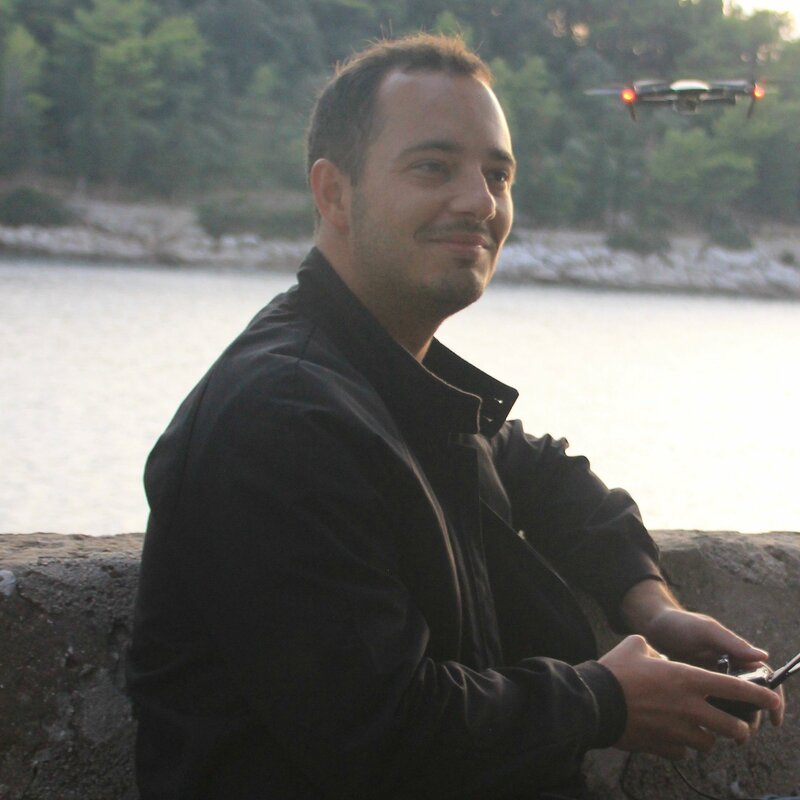 They might be into aerial photography, newcomers who have just been awarded their Part 107 license, and/or individuals keen to test the market by merging existing skills (like photography) with the ability to fly a drone. The downside of pilots working for themselves is, of course, the fact that they must build relationships with new clients and manage all administrative work (coordination, invoicing, following up on payment, et cetera) on their own. It's also more difficult to break into large-scale companies as a sole business owner. Here at DroneBase, we provide drone pilot work with the benefits of pilots working for themselves - creating their own schedules, for example - without having to deal with the administrative back-and-forth. We're also excited to offer our pilots access to a wide range of potential clients in their local area through our extensive network. Thinking about becoming a pilot? Visit our drone pilots job page for more information on training and becoming a part of the DroneBase Pilot Network!